2019 Recreational League 1 Registration Now Open! This is recreational league is focused on a fun and entertaining experience above all else, and helping to develop new friendships and teams! We want everyone who loves League of Legends to be able to play in this league, regardless of skill level. Don’t have a team? Have a few friends but not enough for a full team? No problem! We are allowing for free-agent registration and a free-agent pool. This will allow teams to pick up solo registered players to fill in their gaps, or grab a sub or two for a game if needed. This range of flexibility wouldn’t work in a wholly competitive environment when team segregation is important. Thankfully with a more relaxed atmosphere we can accommodate a much wider range of people. As a solo player, if you don’t end up playing at least two games during the season, we will refund your registration. So why not register? Depending on numbers, we are running a either a round robin or swiss format tournament for the recreation league. If we have enough teams to use a swiss style, it uses a form of matchmaking and ranking in order to match teams with other teams of equal skill. Because of this, your first match or two might not be the closest, but we’ll do our best to avoid that. By the end, everyone will hopefully be able to play challenging, even matches. Matches will use Battlefy’s auto stat tracking and match completion system to ensure fair reporting, as well as tournament codes to make it easy for everyone to get into the game with the correct settings. SKL officials will schedule each match to be played within a 24 hour period. You can learn more about the format and rules on our recreational rules page. SKL admins will be scheduling games for teams based on the availability given in the registration form. We ask that teams give at least 2 weekdays and 1 weekend day per week that generally work, so that we can schedule matches for teams to be broadcast on our stream (twitch.tv/skl_esports). We will be streaming at least one match per week, and we will try to have every team on stream at least once! Registration for our inaugural League of Legends Rec League has finally closed! With that happening, there is some housekeeping we need to do, in order to ensure that everyone knows how this league will work, as the format will be different from our usual competitive splits. Scheduled matches are available for viewing on the SKL website by clicking on “Tournament” under the “SKLeague” tab, or by going to the following link: https://battlefy.com/skl-esports/skl-esports-lol-rec-league/59d6644aec08220342928fa1/stage/59d664b4ec08220342928fa4/bracket/1. Teams will be scheduled to play one game per week, with the teams being responsible for the exact scheduling of their games with their opponent for each week. Scheduling between teams can be done through Discord or the LoL client. 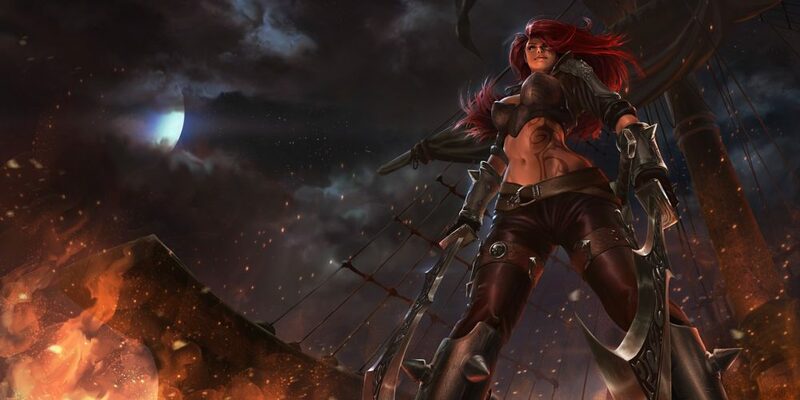 For ease of communication between teams on these platforms, team captains will be clearly labelled in Discord, as well as all team captains being added to the SKLe Club in the LoL client. If a scheduled time cannot be agreed between two teams for that week, a scheduled time will be chosen by the SKL Admin Team for early the following week. After a scheduled game time has been agreed upon by two teams, a tournament code can be generated in Battlefy for their match. However, it is important to not generate the tournament code too far ahead of time, as the generated codes expire after twenty-four hours. Battlefy will track all of the stats for the matches, as well as reporting the outcome of the match, through proper use of the tournament code. If you have any further questions, please feel free to contact us on our Discord channel! And remember, it’s a rec league, so try to have some fun out there. ?